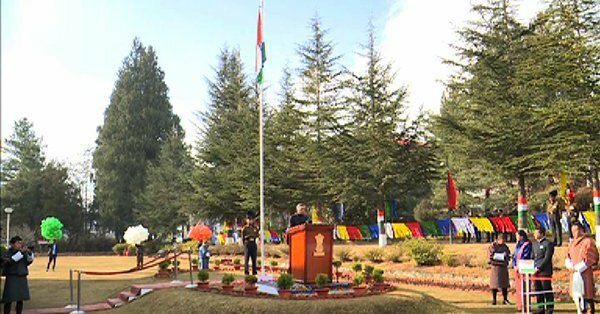 The Indian community living in neighbouring Himalayan country of Bhutan commemorated the 70th Republic Day of India at the Indian Embassy in Thimphu on Saturday. The celebration began with the unfurling of the Indian flag by the Indian Ambassador to Bhutan, Jaideep Sarker, according to reports. The ambassador also read out the Indian President Ram Nath Kovind’s message to the assembled gathering. On the other hand, Gyalpoi Zimpoen presented a scarf to the ambassador on behalf of the Bhutanese government. It was on this day in 1950 when the Constitution of India came into effect, and India became an independent republic. Thereafter, January 26 has been celebrated as the Republic Day of India.